Editors: David Hamers, Naomi Bueno de Mesquita, Annelies Vaneycken & Jessica Schoffelen. 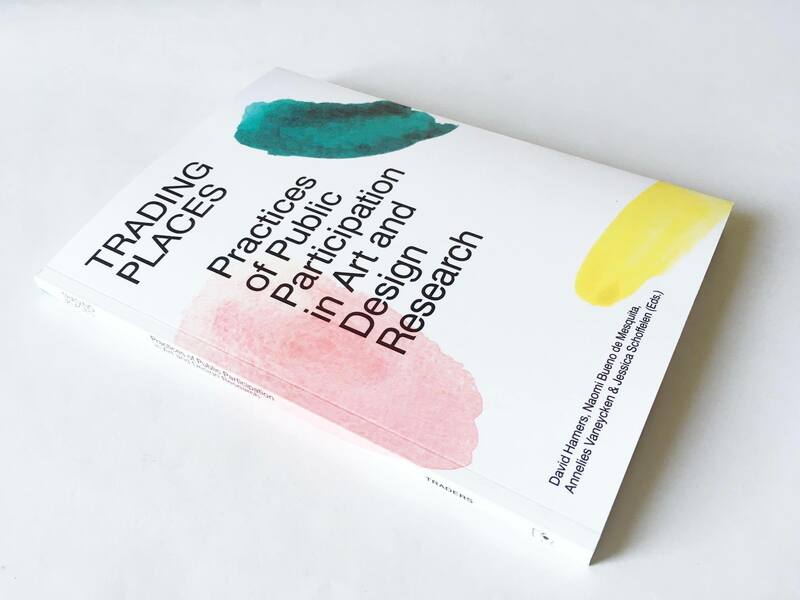 Trading Places is a book that rethinks, develops, and tests design-driven practices and methods to engage with participation in public space and public issues. With this book we aim to help art and design researchers, students, practitioners, and the multiple stakeholders they collaborate with, to explore what participatory ways of working in our contemporary urban environment entail. Six approaches are discussed: intervention, performative mapping, play, data mining, modelling in dialogue, and curating. Each approach offers a different kind of logic and produces a different type of knowledge. Trading Places invites the reader to discover common ground, explore new territories, and exchange points of view – in short, to trade perspectives on issues of participation. TRADERS – ‘Training art and design researchers in participation for public space’ – is a programme that focuses on developing a methodological framework to work on public space projects in participatory ways. The TRADERS programme explores ways in which art and design researchers can ‘trade’ or exchange knowledge with multiple participants and disciplines in public space projects and – at the same time – trains them in doing so. TRADERS allows bundling the strength of disciplines such as art, design, architecture, and urbanism to commonly approach and challenge other disciplines and sectors.